For the last three years, Synergis has been supporting the F1 in Schools students by offering an opportunity to enter their design portfolios to us for our engineers to review for strictly design. 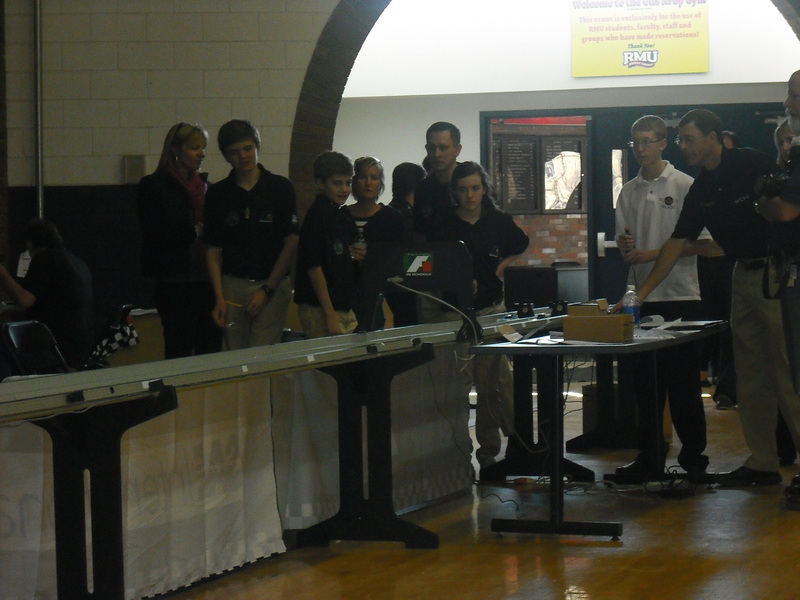 By design, they look at how the students designed, evaluated and validated their cars. Not all teams that were in the challenge entered as it requires the design portfolio to be complete a full week ahead of time which can be another challenge alone. 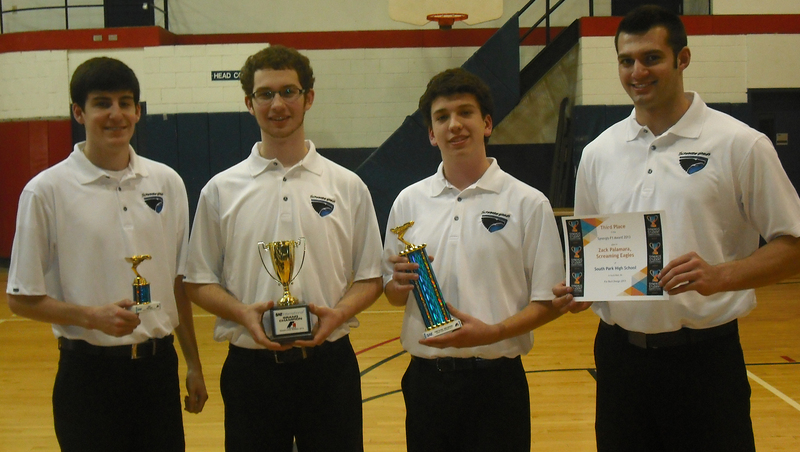 We presented the awards this past Saturday, at the regional F1 Regional Pennsylvania Championship at Robert Morris University. Prize: Opportunity to present and attend at Synergis University. This team has been together for 7 years and it shows in their work. 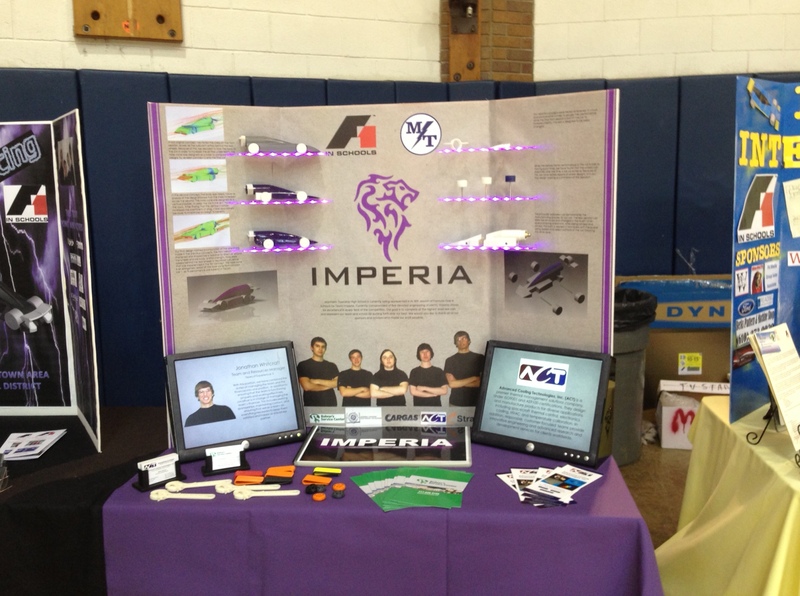 Their presentation of design was well thought out and the graphics and marketing was exceptional. 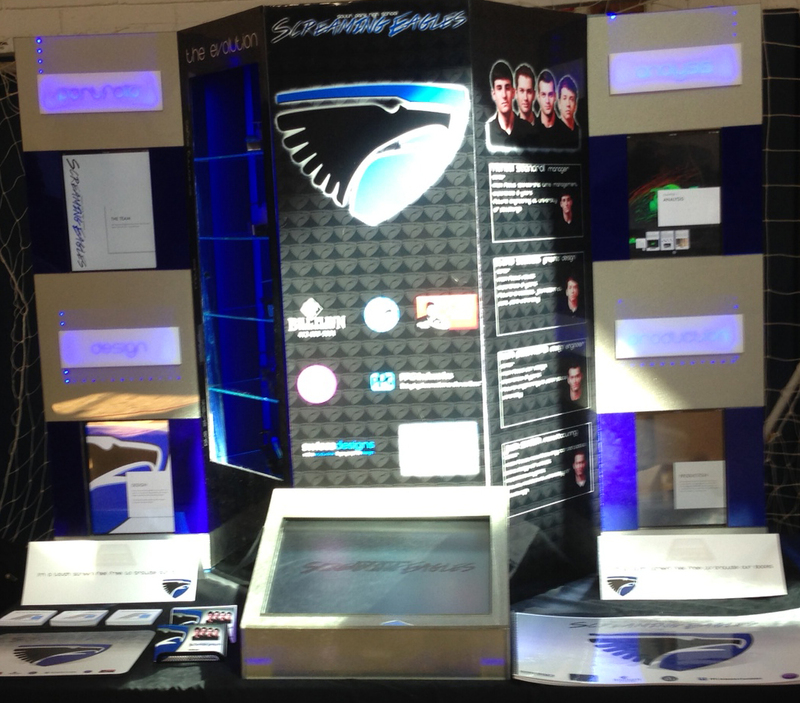 At the championship, they had an eye-catching display with multiple iPads to explain the design process and tell more about the team. In addition they also had several versions of the car on built-in shelves. Our engineers liked most that they used of the Free Autodesk Labs app, Project Falcon (an addition to Inventor) to simulate and test the force effects on their design. Prize: $500 and the opportunity to present at Synergis University. 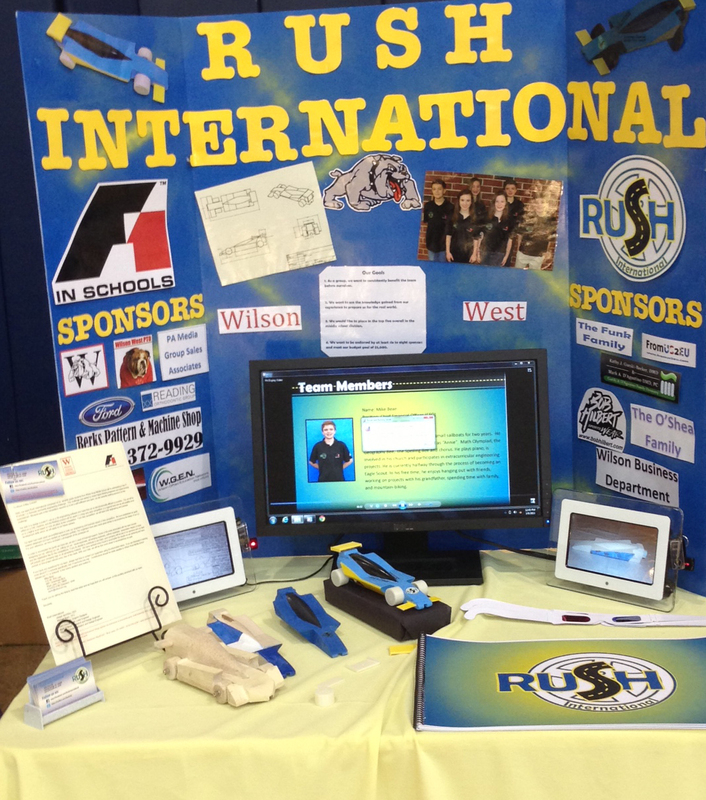 This was Rush’s first year competing and even though they started later than most teams, they placed First for Middle Schools on Saturday. Their excitement was contagious as Michael Bean, (CFO) introduced me to Jasper den Otter,(CFO). Mike Bean later told me they were a little nervous when they were racing a high school team, but the other car turned out to be under weight, so when weight increased, it also slowed down. 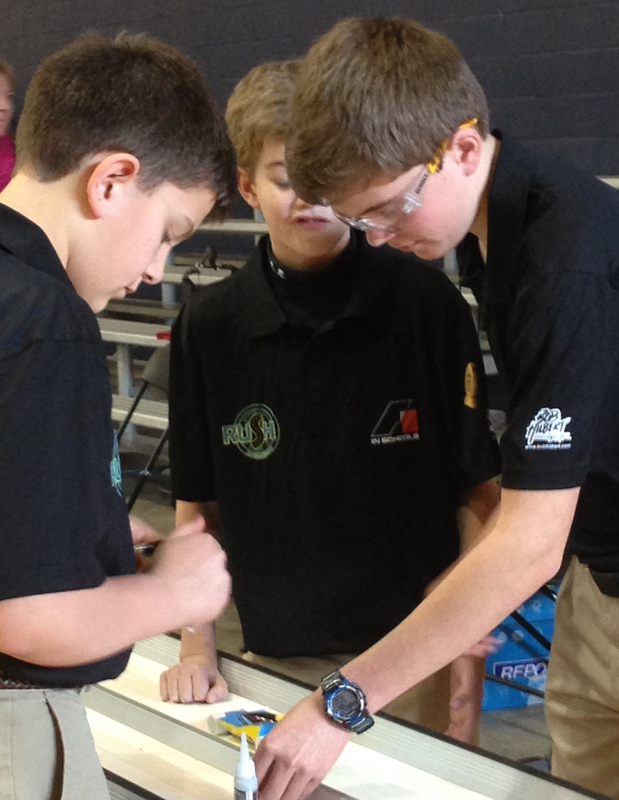 You can see team members in this picture making some adjustments to their own car between races. 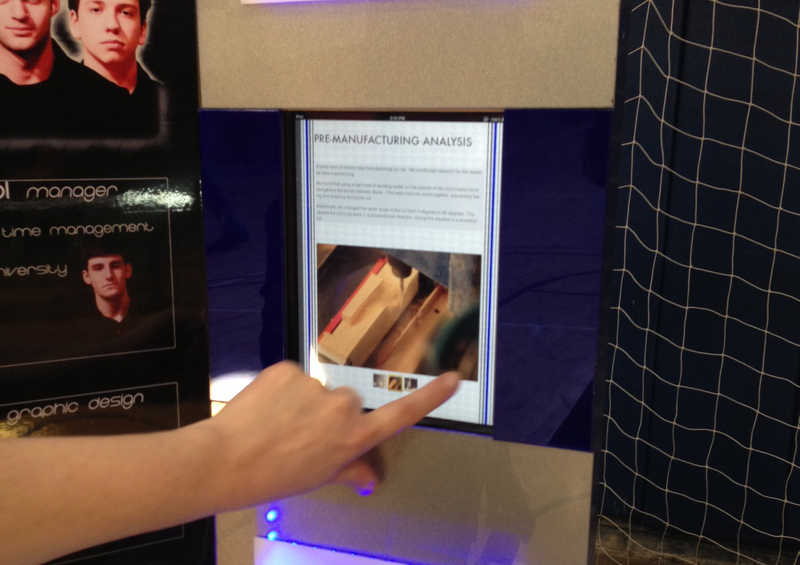 Why did our engineers like their project? 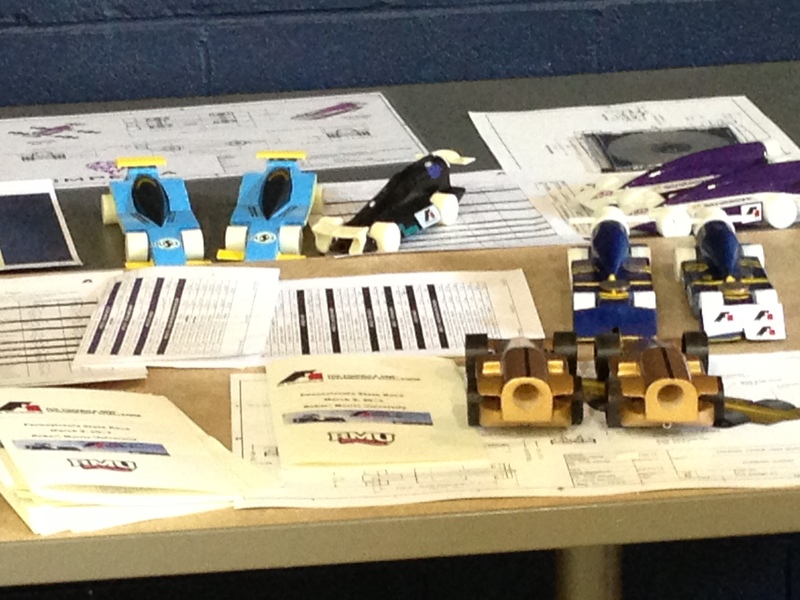 They used the simulation tools inside Inventor to test the design, before building the prototypes. This is a practice that most manufacturers are using to cut down on costs and on time to market. Prize: $1,000 and the opportunity to present at Synergis University. 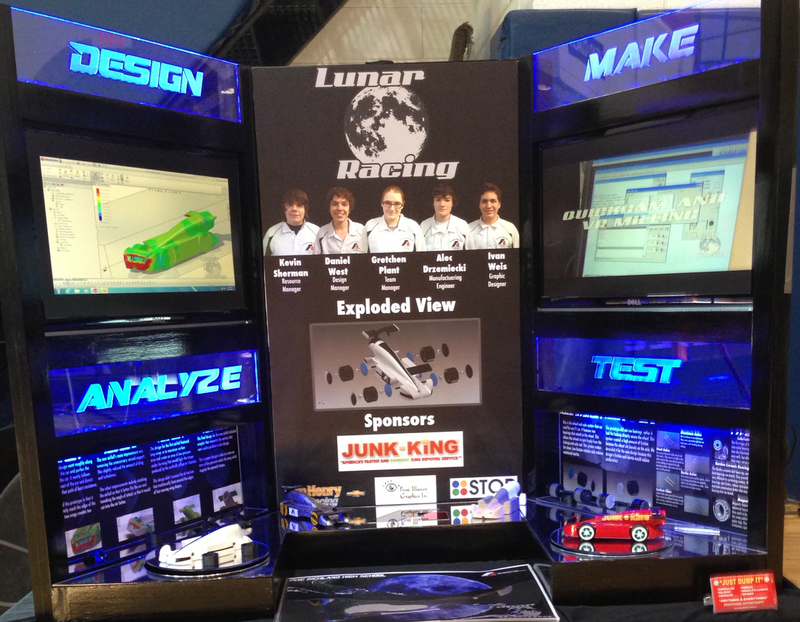 Lunar Racing had very impressive design portfolio. They used In addition to simulating their designs before creating a physical model, they also created rendered eye-catching images of their designs. Visualization is a step in the workflow that enables stakeholders and future buyers a photo-realistic view of a product before its produced. It is easier on the eyes than a 2D drawing and more confident design decisions can be made early in the process, creating less time and material waste in physical prototypes. If you don’t know about the F1 challenge, it is open to high schools and middle schools and focuses on inspiring students to learn more about engineering. The challenge is not just the design or racing of the cars however. The students are required to run like a business. 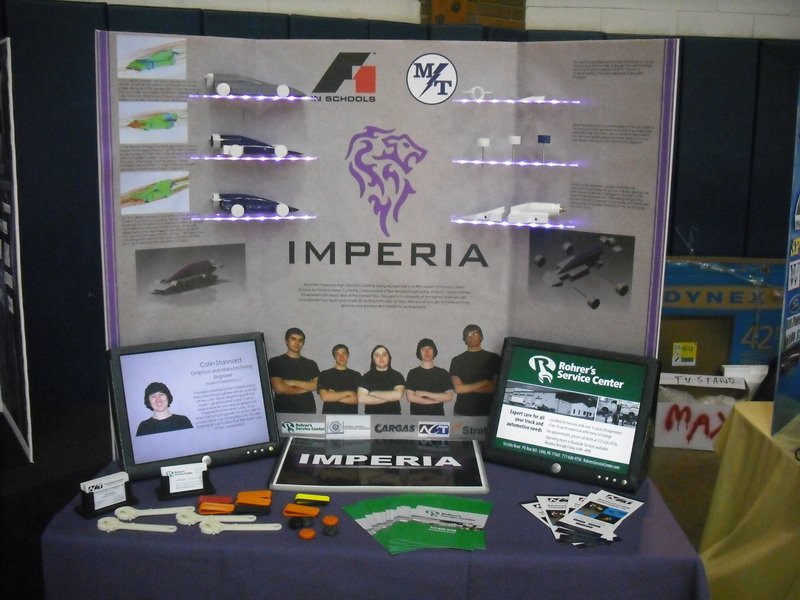 They are required to find sponsors to cover the costs of all expenses, find mentors and consultants, and create a marketing and business plan, in addition to designing and manufacturing their product (the car). Most teams have members that focus on design, and others are CEO, CFO, Graphic Artist, etc., but many students told me that each person does all roles as needed. You can tell in the portfolios, displays, graphics and more that they learned to share ideas and workload, which are additional communication and collaboration skills that are benefit any profession they choose. 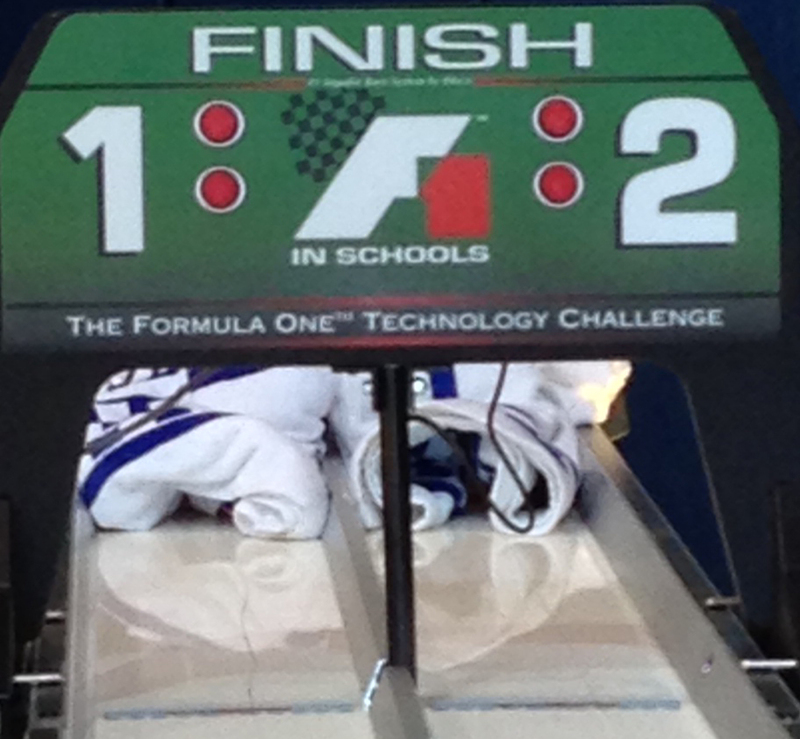 Learn more and visit the F1 Challenge Website. 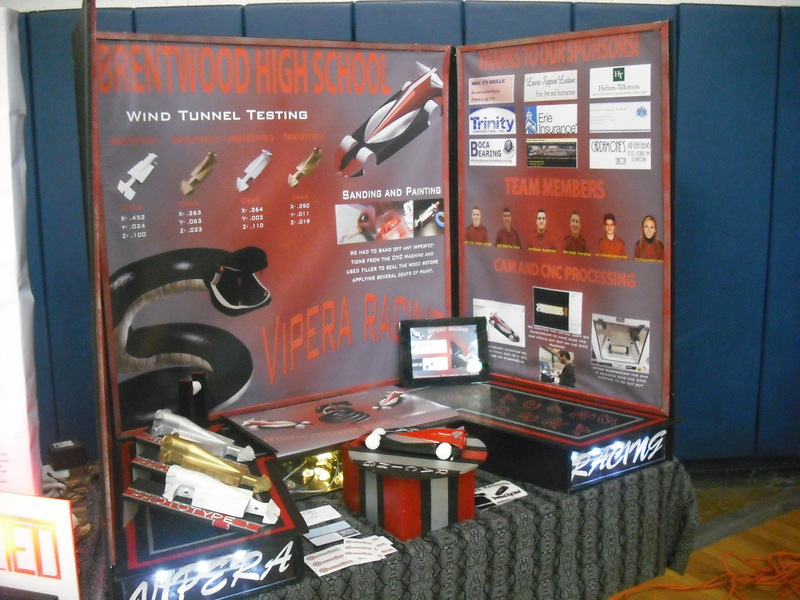 This year was the first year I attended and I was amazed by the displays the teams had created. 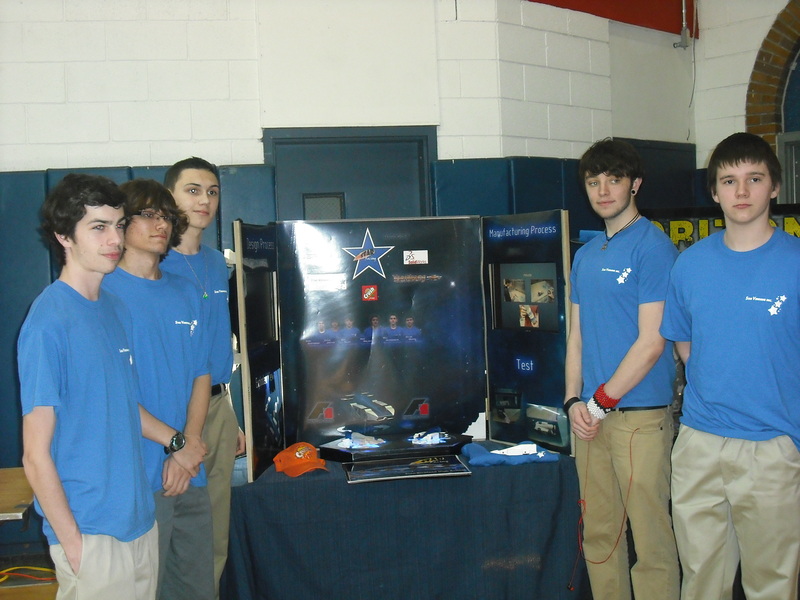 The displays entertained with music, iPads showing websites, videos and pictures of their projects, flashy lighting, rotating car displays and some offered give-away items like key-chains the team made. In addition to knowing design, I was surprised to find that they also created Facebook pages, websites, and marketing QR codes. They were truly incorporating the latest practices in both design and marketing that successful businesses are using today. It was inspirational to see the excitement in sharing their designs, and the journey that led them to the competition on Saturday. We look forward to the upcoming Student Architecture Competition Designs! We will be posting the Top Three on Facebook and letting you vote!